Committees disaster recovery Liberal Democratic Party in power ( PLD) and its coalition partner , New Komeito , presented a recovery plan in Fukushima Prime Minister Shinzo Abe on November 11, 2013, which suggests that the government change his plans for Fukushima evacuees to return home . The plan, which aims to accelerate the recovery work around the crippled Fukushima No. 1 nuclear power plant , was presented by Tadamori Oshima, former vice president of the LDP and New Komeito Secretary General Yoshihisa Inoue, who both head the task in their respective parties ‘ forces and on restoring Fukushima. The plan proposes a system of financial support for residents near the Fukushima plant to relocate , and also government spending to manage the temporary storage of radioactive waste. The move represents a departure from the policy of the government to have an operations manager on site or Tokyo Electric Power Co. (TEPCO ) to take responsibility for all costs, including those to pay compensation to victims decontaminate the affected areas and dismantling the Fukushima reactors (if possible). so we’re looking to blame the disaster, it is more important than the victims. Eleven municipalities in Fukushima Prefecture are now divided into three zones based on the level of radioactive contamination : the areas where the annual dose exceeds 50 millisieverts whose return is difficult areas of life restrictions are in place (one level annual radiation exceeds 20 millisieverts , but no more than 50 millisieverts ) , and areas that are preparing to lift evacuation orders ( annual radiation levels up to 20 millisieverts ) . The plan suggests that evacuees receive government support from the first area , including the towns of Futaba and Namie , reinforced with compensation so they can relocate. He stated that the prospect of returning to their hometowns is unrealistic , even in the long term , and some residents began to seek a new life in different places . Meanwhile, the working groups have suggested that the government prioritize decontamination work in areas where radiation levels are relatively low, and accelerate the reconstruction of medical institutions , and commercial complexes so that the residents of these areas will be able to return sooner. However, the decontamination work in some areas has been largely unsuccessful . Even in areas that are preparing to lift evacuation orders , the average radiation dose can top the annual permissible level of 1 millisievert per year except that which exists in nature. In addition , the task forces suggested that the government pays for the construction of an interim storage facility for waste contaminated with radiation (estimated to cost about 1 billion yen ), and the municipal and national governments perform decontamination , even after the cleaning plane in progress is completed . As for TEPCO , the working groups have asked the company to be divided into separate companies to manage the decommissioning of the nuclear power plant Fukushima No. 1 . TOKYO ( Kyodo ) – Prime Minister Shinzo Abe pledged Monday to speed up the recovery of Fukushima from one of the worst nuclear crises in the world, as it has received a proposal from the ruling parties to ask the government to make a major change of policy on the use of public funds to this end . Given the proposal, the government should spend the taxpayers’ money to fund a portion of the cleanup of radiation-contaminated outside the Fukushima Daiichi nuclear complex hit areas, therefore finance Tokyo Electric Power Co. to recover its bad management and it avoid bankruptcy. To carry out the task unprecedented scrapping reactors suffered meltdowns , the proposal also addresses the need for the giant TEPCO have » a clear organizational structure » as a new business internally to charge of dismantling . 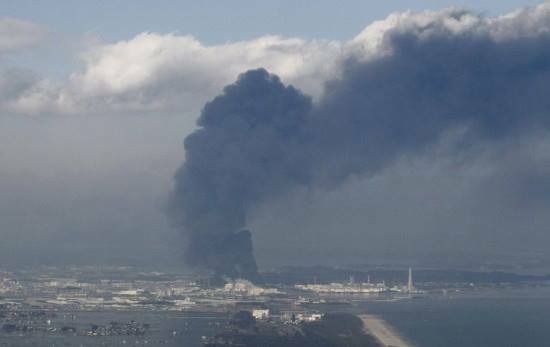 So TEPCO will be able to erase the evidence of its shortcomings , while paying the tax payers . He also said that the government should « criteria » for those affected by the crisis to help them decide how to put their lives in order. 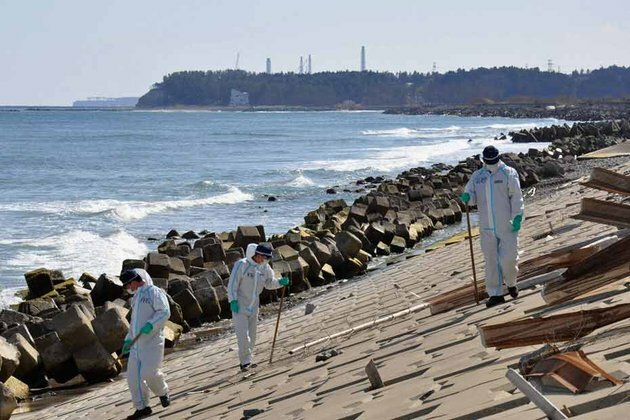 Recovery of communities affected by the nuclear accident area was low compared to those affected by the terrible earthquake and tsunami in March 2011 areas, but affected by the nuclear crisis that followed. After massive radiation leaks , more than 140,000 people in the prefecture of Fukushima still living as evacuees and a research institute estimates that the cost of decontamination of areas in the prefecture could reach more than 5 billion yen. 300 tons of radiactive water link each day. The ruling parties have said in the proposal that the government should consider playing a role in the decontamination needs to restore infrastructure that could emerge after the current consolidation plans are implemented . 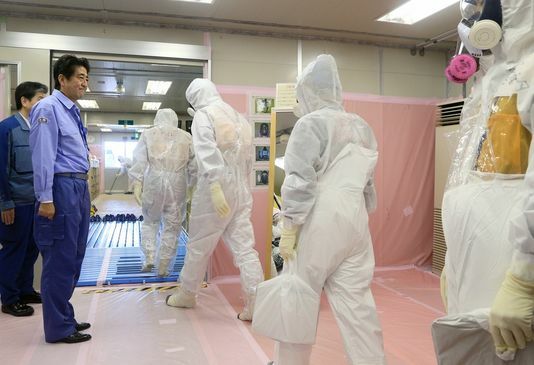 The government should also get funds to build temporary storage facilities to keep the radioactive soil and other waste products in decontamination efforts , they said. Regarding designated as » difficult to return to » for at least six years after the accident because of high radiation level areas, the government should clarify how long it will take before people can return and improve support evacuees who want to leave their homes and start a new life , said the proposal. The importance of achieving the decommissioning of the Fukushima plant and manage the accumulation of a huge amount of radioactive water was also noted in the proposal as a « fundamental principle » to achieve the recovery of Fukushima. But the document says TEPCO alone can not handle difficult tasks. The government should strengthen its control of the issue by reorganizing some of its panels load, while TEPCO should have a clear organizational structure to support the operation of Fukushima, he said. While calls are among some politicians that the troubled company should be allowed to go bankrupt , an LDP lawmaker said that the document states that the company is already effectively under the control of the state should « take the sudden and hard work. » So it keeps alive a corrupt , lax and deceptive business … to the public purse ! All this while a continuous radioactive water ( 300 metric tons per day ) volume escape into the Pacific Ocean. Last year, TEPCO received a capital injection of 1 trillion yen from a rescue fund backed by the State to strengthen its financial position. The Facilitation Fund liability for nuclear damage has also provided more than 3 billion yen in compensation purposes , that TEPCO had urgent need to eventually repay the state. The nature talk ..and suffer. Japanese experts at the nuclear power plant was destroyed by a tsunami in 2011. None mentioned the problems of contamination of water discharged into the ocean. There is no one who trusts the government Abe frame the truth to his advantage and diverts public funds to rescue incompetent .